The 2020 state budget agreement between Governor Andrew Cuomo and the state Legislature is one of the most consequential legislative packages to have passed in several years and enacts sweeping changes to the state’s criminal justice system, mass transit in New York City, voting laws, health care, environmental protections, and more. But government reform advocates are disappointed by what they see as half-measures on campaign finance reform and the exclusion of broader improvements to state procurement processes and government ethics reforms. Over the last three months, the state Legislature, under Democratic control for the first time in nearly a decade, quickly acted to pass several voting and campaign finance reforms that Democratic elected officials and candidates, including Cuomo, have backed and campaigned on for years. The Legislature approved early voting, consolidated the state and federal primary into one day in June, enacted pre-registration of 16- and 17-year-olds, and reduced contribution limits for limited liability companies to $5,000, greatly narrowing the infamous “LLC loophole.” Cuomo signed those bills into law. The Legislature also passed resolutions to amend the state constitution to allow no-excuse absentee ballots by mail and same-day voter registration -- the resolutions will have to be passed again by the next Legislature seated in 2021 and will then have to be approved by voters in a referendum. The budget deal passed early Monday morning included additional measures and funding for voting, election, and campaign finance reforms approved in previous months. The headline, though, was the compromise to mandate a binding commission that is meant to create a public financing program for state elections and must issue a report by December 1. The commission’s recommendations will become law unless the Legislature overrides it during a special session before the end of the year. The governor and Legislature couldn’t come to an agreement on implementing a public financing system with lower contribution limits for candidates and a small-donation matching program, owing largely to opposition in the state Assembly where Speaker Carl Heastie publicly raised doubts about having enough votes to approve the proposal, despite prior support for such a program when Republicans controlled the Senate. Advocates say there isn’t enough clarity in the commission’s guidelines and have vowed to hold the feet of the governor and Legislature to the fire. 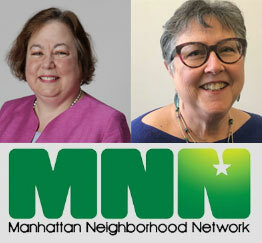 The Fair Elections for NY coalition called the budget a “missed opportunity” to enact reform. The coalition of advocacy, community, and labor groups organized a massive push for a public financing program modelled on the one used in New York City, calling for a 6-to-1 match in public funds for every qualifying dollar that a candidate raises through the program (the city’s program was recently expanded to an 8-to-1 match). Nine commission members will be appointed -- two each by the governor and majority and minority leaders of both legislative chambers. The final appointee must be chosen through consensus by all of the appointing parties and approved by the governor. Camarda from Reinvent Albany noted that the commission will have to approve a system through a majority vote, which is not guaranteed, nor is a 6-to-1 match or any independent enforcement of a new system. Camarda also pointed out that New York’s sky-high contribution limits for those who do not opt in to the program won’t be lowered, disincentivizing candidates from participating. When laying out his 2019 agenda late last year, Cuomo had called for completely banning corporate donations to political candidates, but that measure did not make it into the budget. Another Cuomo proposal that was not included in the budget was a complete closure of the so-called LLC loophole. LLCs allow individuals to circumvent contribution limits by shielding the identities of donors and, until recently, had the ability to donate as much as $65,000 to gubernatorial candidates. The Legislature brought those donation limits down to $5,000, in line with limits for corporations, but that does not completely preclude the loophole from being exploited. The governor had also proposed greater donor disclosure requirements for 501(c)(3) and 501(c)(4) nonprofit organizations, which he said were contributing to a plague of independent expenditures in state elections, but some charged was another attempt by the governor to target groups that have been critical of him. Those proposals were left out of the final budget as well. The final budget agreement includes $10 million in funding to localities to implement a 10-day early voting program, approves three hours (up from two) of paid time off on election day, authorizes electronic poll books with $14.7 million in funding, and expands voting hours at upstate polling sites to bring them in line with New York City and its surrounding suburbs (6 am to 9 pm). The budget also mandates that the Board of Elections create an online voter registration system that allows voters to submit applications with electronic signatures. Advocates and elected officials had also tried to push the Legislature to approve automatic voter registration for the state, but to no avail. Though the governor had proposed several government ethics reforms in his executive budget proposal, barely any made it into the enacted budget. The proposals included mandated disclosure of tax returns by candidates for elected office, expanding the state’s Freedom of Information Law to the state Legislature (it currently covers the executive branch), banning state employees from volunteering on their employers’ election campaigns, and a “Lobbying Code of Conduct” to penalize violations of lobbying laws among other lobbying restrictions. But the only proposal that was approved was one that prohibits lobbyists, political action committees, labor unions, and a person registered as an independent expenditure committee from giving loans to candidates and political committees. What remains to be seen is whether the governor will follow through on a pledge to unilaterally ban those who do not voluntarily follow the code of conduct from lobbying the executive chamber. The budget leaves in place weaknesses in state contracting processes that advocates say led to recent pay-to-play scandals, and corruption convictions, in Albany, particularly among officials and donors in Cuomo’s inner circle. Though Cuomo had proposed several procurement reforms in his executive budget proposal, “Nothing got done in statute,” said Camarda. The governor reached a deal to restore the state comptroller’s pre-audit authority over certain state contracts -- powers stripped in Cuomo’s first year as governor -- but did not give it the backing of law in the budget and legislators do not appear to have fought for it to be in statute. Cuomo had also expressed support for stronger oversight powers for the state inspector general over SUNY- and CUNY-affiliated nonprofits, which were not passed with the budget. SUNY-affiliated contracts were at the center of a major bid-rigging scandal that led to the corruption conviction last year of Alain Kaloyeros, a former top economic development aide to Cuomo, and prominent donors to Cuomo’s campaign. Cuomo did include a specific provision in the budget that expands his authority over the Public Authorities Control Board, a direct response to the undoing of the deal to bring an Amazon campus to Queens. Cuomo has repeatedly blamed the failure of the deal on the state Senate’s nomination of Amazon-opponent Senator Mike Gianaris to the PACB, which would have final approval of a portion of the subsidies offered to the tech giant. The new budget allows Cuomo to remove a member of the PACB who oversteps, or threatens to overstep their authority. On January 14, the New York State Assembly and Senate made their mark on New York voting history. After over 100 years without meaningful reform, legislators passed six bills that will significantly increase voter access to the polls and the reach of their voices. On January 25, Governor Cuomo codified this historic expansion and signed those bills into law. Important legislative priorities such as early voting, pre-registration of 16- and 17-year-olds, registration portability, and the consolidation of our state and federal primaries are now state law. Our legislators also took a significant step toward changing our constitution to allow for same-day registration and no-excuse absentee voting by mail. It is important to note amidst the celebration of grassroots and advocacy groups who have been fighting for these reforms that our work, and the work of our representatives, is not complete. Transformative reforms such as automatic voter registration, the restoration of the voting rights for people on parole, establishing a universal right to vote, and shortening the deadline to change party affiliation were starkly absent from the legislation passed. Many of these common sense reforms are long overdue. Our elected representatives have received well-deserved praise for taking decisive action in the process of bringing New York’s voting laws into the 21st century by prioritizing and passing legislation that was stymied for far too long. 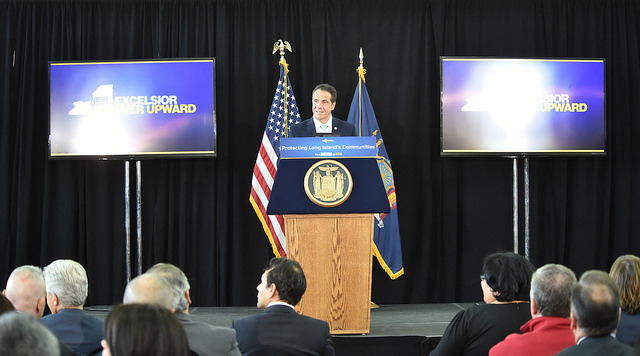 However, not only is there more to do, but New York is once again faced with the unfortunate and unnecessary lack of transparency that has become synonymous with state government in Albany. Voting reform has the exciting potential to bring more people into the democratic process. But New York will not be a leader in democracy until the process of governing embodies openness, accountability, and greater participation. Reform must not stop with the passage of the aforementioned voting legislation, but requires inclusion of the once-honored legislative processes of hearings, debate, and public comment. Our elected representatives, as they consider and take further action, should seek out the voices of their constituents. New Senate Majority Leader Andrea Stewart-Cousins says their work is not done, and so we too must continue to work and hold our representatives accountable until no one is left behind and New York is the embodiment of a democracy we can all be proud of. As the chief executive of New York State, and the keeper of the state budget, Governor Cuomo is now tasked with implementation and ensuring new reforms are appropriately funded. It is concerning that his proposed executive budget lacks specific funding allocated for early voting. Just last year, Cuomo, in the face of intransigence and hostility in the state Senate, allocated $7 million for early voting in the executive budget. When this year provided with passed legislation to sign and implement, why would the governor not designate funding specifically for early voting in his budget? 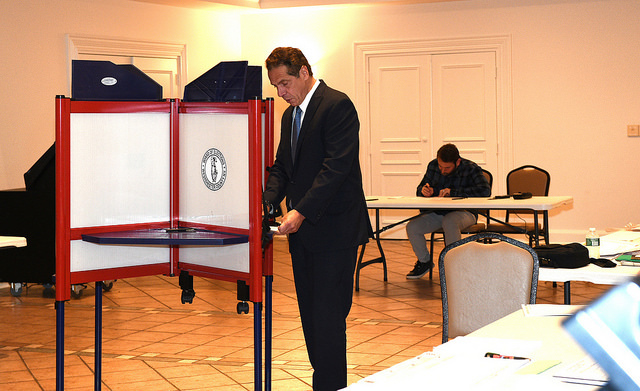 Cuomo states that the cost of early voting will be covered by the consolidation of the federal and state primaries combined with the new sales tax revenue to be collected from the elimination of the internet tax advantage. Neither of these revenue streams will be available to county Boards of Elections in time to fund early voting in 2019. It is puzzling why now, at this historic moment, the governor would withhold designated funding for a reform he supports and for which he allocated money only a year ago. During his “First 100 Days” speech given in December, Cuomo criticized the federal government's attempts to disenfranchise voters, and stated that "we have to do the exact opposite and improve our democracy.” The reality is that to improve our democracy after over a century of inaction, it is going to take money. And to prove a commitment to the reforms being passed by the Legislature, the same reforms he himself has called for throughout his tenure, the governor must commit real dollars for implementation this year. The governor and the leadership of the Assembly and Senate must stand true to their promises and ensure these reforms are appropriately implemented and adequately funded. Now is the time for clear, decisive action. It is not the time for unfunded promises, backroom deals, or excuses. Do not give us reform in name only. There must be a line item in the budget to specifically and sufficiently fund early voting. All interested parties should work together to make sure the counties are provided with funding and support so that they are prepared for these changes and voters can take advantage of them seamlessly. Voting reform advocates statewide will continue to fight so that we the people can access our most fundamental right to vote. We believe in our elected representatives and we know they can get this done. Nicole Hunt is on the executive committee of Brooklyn Voters Alliance, a grassroots group dedicated to strengthening democracy in New York State. On Twitter @msnicolemh @bkvoters. 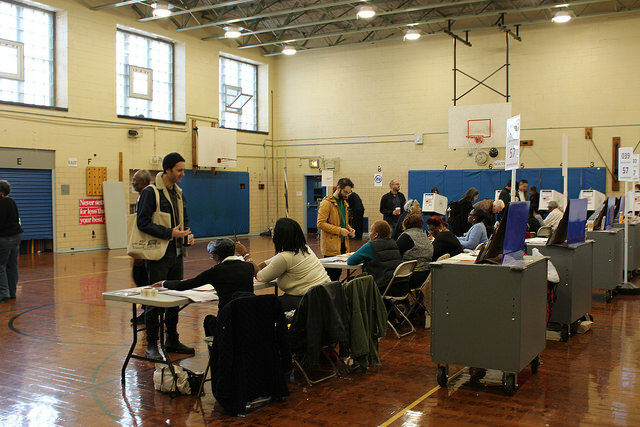 On Tuesday millions of New Yorkers attempted to exercise their constitutional right to vote. However, far too many in New York City were met with broken ballot scanners and hours-long lines that stretched for blocks in the pouring rain. It is encouraging to see so many citizens making the time and effort to vote, but incredibly disheartening to see our broken election system failing them. With the impending arrival of the long-awaited trifecta of Democratic leadership in New York State (Democratic Governor, Senate and Assembly) alongside reform-minded allies in New York City government, fixing our archaic and ineffective electoral process should be the first order of business once the new Legislature is seated in January. At polling sites across New York City there were reports of at least one – and sometimes all – ballot scanners malfunctioning. Thousands of voters braved hours of waiting and confusion just to fill out unscanned emergency ballots. Even in places where some of the scanners did work (such as the paltry two at my polling place in Boerum Hill, Brooklyn), poll sites and workers seemed overwhelmed by the dramatic turnout -- which still wasn’t even at 40% in the city or anywhere near presidential election levels. We will never know how many voters gave up on the long lines and didn’t vote, or what the chilling effect may be on future turnout. The initial response from the Board of Elections on the scanner malfunctions is that soggy or imperfectly torn ballots jammed the machines. Aren’t these issues we could -- and should -- have prepared for? Regardless of the merit of these questionable excuses, the bigger issue is clear: our current election systems are incapable of meeting the needs of our electorate. It’s not just machines and preparation. 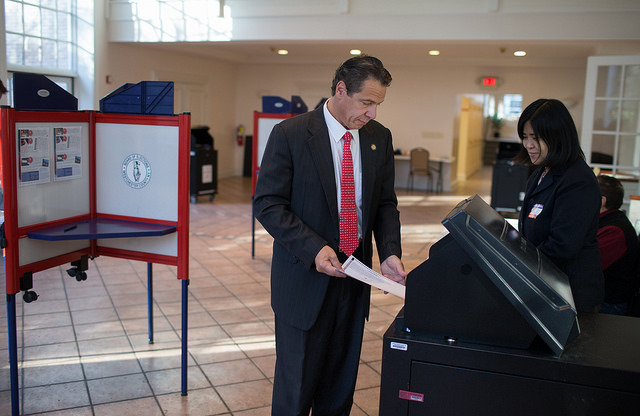 New York trails other states across the board in voting laws and procedures. One of the main reasons for the problems this past Tuesday is that poll sites were simply overwhelmed by the sheer numbers of voters attempting to vote on a single day – there weren’t enough poll workers or scanners. This is why 37 other states have enacted some form of early voting, which expands the eligible voting period. This both lessens the logjam on a single day and has the added benefit of giving voters more flexibility. It also can help flag issues like machine jams due to two-page ballots. Early voting in other states over the past few weeks saw a surge in young and first-time voters, the same voters who may have given up on voting Tuesday or have already become jaded by the experience. Relatedly, New York is the only state in the entire nation which holds its state and federal primaries on separate days, which is incredibly confusing for the average voter and fiscally wasteful. With the additional $25 million or so spent on having a second primary day, New York could make great strides towards enacting early voting. New York also holds “closed” (party-based) primaries with the earliest party registration deadlines in the nation, which caused an uproar in the last presidential election. Where other states have enacted additional pro-voter participation features such as same-day registration and pre-registration for 16- and 17-year-olds, New York continues to fall further and further behind. These policy shortcomings are compounded by additional confusion such as the Brooklyn “voter purge” in 2016 and the more recent 400,000 person “inactive voter” misfire just last month. Our elected leaders at the city and state levels must take a close look at both our laws and the Board of Elections. With all of these issues, it is truly amazing how many voters turned up on Tuesday in a state with such a dismal record. New York State has the fourth most registered voters of any state in the nation, but had the eighth worst turnout in the 2016 presidential election. Imagine how many people might vote if they had an extra day (or several) to do so, if the lines were shorter, and if they could count on ballot scanners working. It is time for New York City and State to finally make strides on voting access and ease and catch up with the rest of the nation. Our democracy depends on it. Jamie Ansorge is an Attorney at Cozen O’Conner, Executive Board Member of the New Leaders Council NYC Chapter, and Co-Chair of the Democratic National Committee (DNC) Young Professional Leadership Council. On Twitter @AnsorgeNYC. Governor Andrew Cuomo on Wednesday held a ceremonial bill-signing, one of several since the state budget was approved, to tout the passage of new restrictions and disclosure requirements for political advertisements on social media. But the bill was a component of Cuomo’s larger Democracy Agenda, measures including voting and campaign finance reform that otherwise fell by the wayside during budget negotiations and seem unlikely to pass in the remaining months of the legislative session in Albany. Prompted by the widespread Russian influence campaign that targeted nearly two dozen states during the 2016 presidential election and the proliferation of secretive political advertising on social media platforms like Facebook, Cuomo proposed and the state Legislature successfully passed the “Democracy Protection Act,” which prohibits foreign entities from creating independent expenditure committees or buying political ads, requires anyone who purchases an online political ad to register as an independent expenditure committee, and also requires online ads to include information about who paid for them, as is currently required of traditional media platforms. The state Board of Elections will also now create an public archive of those online ads and retain them for five years. Cuomo loftily insisted that the legislation will “fundamentally change” elections in the state and predicted, “This law is going to force national change.” Several progressive movements -- for women’s rights, environmental rights, worker safety rules, gay rights, civil rights -- he exclaimed, started in New York and that inaction in Washington, D.C. necessitates that states forge ahead on tackling the issues accompanying elections in the digital age. But New York leading the way on election and campaign-related reforms appears to be an imperfect message from New York and a messenger like Cuomo. The state has been a laggard on improving voter participation and access, and its outdated laws fall far behind most other states. Cuomo himself has railed against weaknesses in state campaign finance laws while exploiting them for his own campaigns. In 2017, Cuomo released a 10-point government ethics and voting reform agenda, which included early voting, automatic voter registration, same-day voter registration, and campaign finance changes such as closing the LLC loophole, which allows anonymous donors to flood candidates’ campaign coffers in New York. Cuomo has been one of the biggest beneficiaries of that loophole and has done little to actually push for its closure. None of those reforms passed last year. This year, Cuomo proposed many of the reforms again, adding $7 million in proposed funding to implement early voting and banning outside income for legislators. But yet again, all but the online ads bill fell through. Cuomo made no mention of the other planks of his Democracy Agenda at Wednesday’s celebratory event, where he positioned New York as a national leader. He also took no questions from reporters at the two events where he made appearances Wednesday. Most of the reforms are opposed by Republicans in the state Senate who continue to control the chamber with the help of a rogue Democratic Senator, Simcha Felder of Brooklyn, who caucuses with the GOP to give them a one-vote majority. But Cuomo, when he wants to, has been able to convince Republicans to vote through bills that they might traditionally oppose including marriage equality, gun control measures, and a major hike in the minimum wage. Cuomo has repeatedly laid the blame for the failure of his proposals on the Republicans, who for seven years were allied with a breakaway group of eight Democratic Senators called the Independent Democratic Conference. In a deal recently brokered by Cuomo, the IDC rejoined the mainline Democratic conference. The Democrats are now counting on victories in special elections for two state Senate races on April 24 to be on par with Republicans in the Senate. Felder’s loyalty in that situation remains an open question. Cuomo has said the goal is to then pick up additional seats in the fall’s regularly-scheduled elections for all seats in the Legislature. Similarly, Cuomo justified the unification deal by insisting it was necessary to pass progressive reforms that have failed for years. “We finished the budget. We did a lot of good things in the budget, but there are also things that we didn’t pass that we need to pass...The Child Victims Act, more gun safety, bail reform, the DREAM Act, banning outside income, campaign finance reform, early voting,” he said at a news conference announcing the deal at his executive offices in Manhattan. He went on, “These are all core, essential progressive principles that were not passed in the budget and which we will not pass until we have a Democratic Senate.” It’s unclear, however, if a Democratic Senate itself will come to pass any time soon, or if the appetite would be there for the types of voting, campaign finance, and government ethics reforms that Cuomo has said he supports. According to 24/7 Wall St., an average of only 59.2% of eligible New York voters voted in the presidential elections from 2000 through 2012. That makes New York 42nd among the 50 states in voter turnout. As disappointing as these figures are, voter turnout has been even lower in midterm and state elections. This is why we need voting reform in our state. I applaud Governor Cuomo’s 30-day budget amendment that calls for $7 million to fund early voting in counties across the state. New York is one of only 13 states that does not offer early voting, a deficiency we must change now. New Yorkers are busy, having the convenient option to go to the polls up to 12 days before Election Day means people don’t have to choose between going to work or school and voting. It is time we join the other 37 states and the District of Columbia (Washington, D.C.) and provide New Yorkers with access to early voting. A recent Siena College poll indicates that 65% of New Yorkers support early voting. Automatic voter registration (AVR) is another proposal that New York should adopt. AVR allows people to be automatically registered to vote when they interact with the Department of Motor Vehicles. People would no longer have to worry about registration deadlines or application submissions. After witnessing the success of AVR in Oregon, eight other states have approved it. No citizen should ever be denied his or her constitutional right to vote, and we should make the registration process easy and convenient. I have fought for legislation to enact AVR since 2015. This is the year to pass it. Finally, same-day voter registration (SDR) should be enacted so eligible New York voters can register to vote the same day they go to the polls. This eliminates registration deadlines people may miss. Fifteen states and Washington, D.C. have adopted some form of SDR. In their report entitled “America Goes to the Polls 2016,” Nonprofit VOTE and the U.S. Elections Project claim that same-day voter registration “has the most discernible impact on increasing voter turnout.” These organizations estimate that since 1996, states that allow SDR have experienced voter turnout seven to 13 points higher, on average, than states without SDR. For too long, New York voting laws have suppressed voter turnout and have discouraged public participation in governance. I stand by the Governor’s plan to reform voting, and I encourage my fellow elected representatives to enact these proposals. 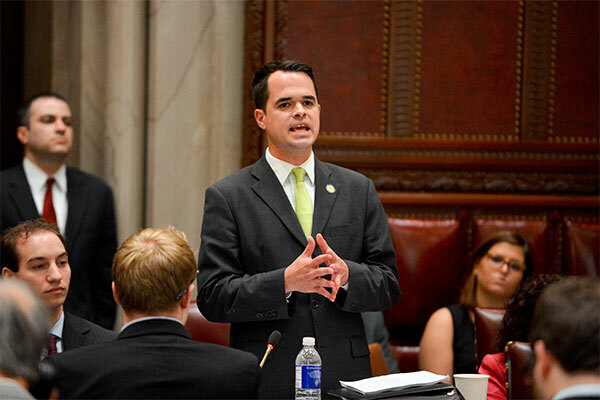 David Carlucci is the state senator representing the 38th Senate district. On Twitter @DavidCarlucci. The 13th proposal of the governor’s developing 2018 State of the State speech, the advertising transparency and cybersecurity initiatives are joined by three voting reform measures that were introduced by Cuomo last year but did not pass: early voting, automatic voter registration, and same-day voter registration. "What we saw during the last election was a systematic effort to undermine and manipulate our very democracy," Cuomo said in a statement. "With these new safeguards, New York — in the strongest terms possible — will combat unscrupulous and shadowy threats to our electoral process, as well as break down fundamental barriers that for far too long have prevented New Yorkers from being heard and from exercising their right to vote." In his 2017 agenda, Cuomo included the voting reforms as part of his 10-point government ethics program, which included strengthening campaign finance laws, such as closing the LLC loophole, which allows virtually unlimited donations to elected officials. None of the planks were passed, either in the budget in April or at the end of the legislative session in June. A spokesperson for the governor’s office declined to reveal whether ethics and campaign finance reform will be introduced in a separate plank during the governor’s upcoming SOTS address, but said the administration was committed to getting the announced electoral reforms passed. The voting reform measures are not embraced by leadership in the Republican-controlled state Senate, which clings to power through a ruling coalition with breakaway Democrats, and Cuomo told reporters that there was “no appetite” from the Legislature to implement them during budget negotiations earlier this year. After the legislative session, the governor did sign an executive order expanding the list of agencies required to provide voting registration assistance, but advocates said that the order could have gone further. For example, they say, a task force assembled by Cuomo to explore the implementation of these new rules could also study the costs and benefits of more meaningful electoral reform -- such as early voting and automatic registration -- in order to better sell the proposals to legislative leaders in 2018. If passed, Cuomo’s early voting proposal would allow eligible New Yorkers to cast ballots up to 12 days before Election Day. Automatic voter registration would automatically register anyone who comes in contact with the Department of Motor Vehicles or other government agency unless the person chooses to opt-out, and same-day registration would allow New Yorkers to register to vote when going to the polls to cast their ballots. Reform advocates praised the governor’s Democracy Agenda while urging him to include funding for the proposals in his upcoming budget. Cuomo’s democracy platform, as presented in a press release, focuses on the proliferation of “fake news” and political ad campaigns on social media platforms, which are not regulated in the same way as advertisements on traditional media platforms. Citing the influence of “unscrupulous and disruptive actors” on the 2016 presidential election, Cuomo’s proposal would codify state regulations as introduced by United States Senate and House members to regulate online advertising for federal elections. The governor vowed to ensure that all social media platforms, and other states, adopt similar policies. “As many as 126 million Americans are estimated to have seen Russian-bought political ads on Facebook alone last year, without realizing that they were seeing content paid for by Russia. Additionally, 131,000 Twitter messages, linked to more than 36,000 Russian accounts, have also been identified,” states the press release from Cuomo’s office. To ensure the fairness and transparency of New York elections, Cuomo has put forth a three-pronged strategy to: expand New York State's definition of political communication to include paid internet and digital advertisements; require digital platforms to maintain a public file of all political advertisements purchased by a person or group for publication on the platform; and require online platforms to make reasonable efforts to ensure that foreign individuals and entities are not purchasing political advertisements in order to influence the American electorate. Violations of these requirements would be subject to a civil penalty of up to $1,000, according to Cuomo’s office. The cybersecurity component seeks to keep elections uncorrupted by hackers. Earlier this year, following numerous reports of Russian meddling in the 2016 election, Cuomo directed the New York State Cyber Security Advisory Board to work with state agencies and the State and County Boards of Election to assess the threats to the cybersecurity of New York's elections infrastructure, identify security priorities, and recommend any necessary additional security measures. As a result of this review, Cuomo says he is proposing a four-pronged approach to further strengthen cyber protections for New York's elections infrastructure: create an Election Support Center; develop an Elections Cyber Security Support Toolkit; provide cyber risk vulnerability assessments and support for local boards of elections; and require counties to report data breaches to state authorities. Governmental reform advocates had praise for Cuomo’s proposals, as promoted through the governor’s press release. "Our democracy urgently needs repair. Washington has not yet acted, but states can. Today New York lags behind many other states. With these reforms it can step into the lead, making it easier to register and vote, and protecting the system from abuse,” said Michael Waldman, president of the Brennan Center for Justice at NYU School of Law, in a statement. He noted that automatic voter registration, if done right, could add millions to the rolls, cost less, and bolster security. Meanwhile, early voting and same-day registration would make voting far easier for working people. “And it is vital to ensure that foreign governments and other malevolent actors can't distort elections with dark money ads or attacks on voting machines and databases. Governor Cuomo's agenda would be a powerful step forward. It's worth fighting for. We hope Albany listens," Waldman said. The governor’s 13th State of the State proposal also received praise from Senator Todd Kaminsky, a Democrat from Long Island who has introduced similar legislation to prevent anonymous and false political attack ads on social media, and Kaminsky’s fellow Senate Democrats, who have long pushed for voting reforms like the ones unveiled today. Each year, ahead of his annual State of the State address, which for 2018 will take place on January 3, Cuomo typically previews several planks of his new agenda. Other initiatives unveiled so far have focused on environmental investment and protections, strengthening of labor laws, gun control, and returning the Islanders hockey team to Long Island. Governor Andrew Cuomo’s prediction that there is insufficient political will at the New York State Legislature to pass any significant voting reform measures this year may be coming to fruition. During the final weeks before the end of the legislative session, this year June 21 -- when lawmakers leave the Capitol and return to their districts for the remainder of the year -- there is typically a final thrust for policy measures that did not make it into the budget, which this year was passed in early April. On the electoral front, there has been a growing push from voting reform activists, civil rights organizations, and some Democratic elected officials to modernize New York’s arcane system, but, given the reluctance of Senate Republicans and, at least in part, Cuomo’s lack of prioritization of electoral reform despite saying in January he backs an ambitious agenda, major reforms appear to be elusive. Citing numerous barriers faced by voters during the 2016 elections, Attorney General Eric Schneiderman and New York City Bill de Blasio have joined the call for Albany to pass meaningful electoral reform, a cause that has been championed by other Democrats in the state Assembly majority and Senate minority. Democrats in both legislative houses have introduced a slew of voting reform bills -- including legislation on early voting, automatic voter registration, electronic poll books, and “no excuse” absentee ballots, among other measures -- as they do each year. While most passed the Democrat-controlled Assembly, as usual, the efforts are stalled in the Senate, where Republicans control the chamber by a slim majority given the help of Senator Simcha Felder, a nominal Democrat who conferences with Republicans, and bolstered by the Independent Democratic Conference (IDC) in a coalition agreement. The Senate has passed a significantly slimmer electoral package, most of which would do little to increase voter access or enhance voter registration. So far, the only electoral legislation passed in both houses would allow polling place inspectors to work eight-hour half-shifts, when previously they were made to work 16-hour days. It is a move intended to help Boards of Elections recruit staff and improve efficiency on election days. Another piece of legislation, sponsored by IDC Senator Diane Savino and Assemblymember Amy Paulin in their respective chambers, would require special ballots to be mailed to domestic violence victims and has passed each house’s election committee and is calendared for floor votes. The Assembly election committee is meeting on Tuesday, June 6, to consider a dozen more electoral law changes. Other relatively minor pieces of electoral legislation close to being passed in both houses relate to the way candidates are listed on the ballot, the creation of an inventory of official campaign websites, and protecting the ballot information of domestic violence victims. One sign of the lack of agreement on major electoral reforms, though, relates to consolidating New York’s repetitive primary election days, a cause that has bipartisan support -- in theory. Both the Senate and Assembly have passed bills to consolidate federal and state primary elections -- a move projected to save the state $25 million and help increase voter turnout -- however the houses cannot disagree on which month to hold the joint election. The congressional primaries were split from state level primaries in 2012, when the federal MOVE Act mandated that federal elections allow sufficient time for absentee ballots from those in the army and overseas to be collected. The Assembly bill requires the joint primary to happen in June, in order to allow more absentee ballots to trickle in, while the Senate suggests an August date, which would still meet federal regulations. Democrats argue that the August date would suppress voter turnout given peoples’ summer vacations. The only bill designed to expand voter access that has advanced in the Senate is an early voting bill, sponsored by Senate Minority Leader Andrea Stewart-Cousins, which would allow eligible New Yorkers an additional seven-day window prior to election day to cast their ballots, but it too appears unlikely to reach the Senate floor. Stewart-Cousins’ bill, which mirrors legislation by Assemblymember Brian Kavanagh that has passed the Assembly, would open poll sites for seven days ahead of election day, allowing one day in between the early voting period and elections. Each county, depending on its size, would be required to make at least one and up to seven polling sites available during that period. In March, when Stewart-Cousins forced the Senate election committee to vote on the measure, Democratic members of the committee voted to advance the bill to the Senate floor, only to have it diverted to the local government committee by GOP members. As Politico wrote, the majority conference is able to kill legislation without explicitly voting against it by pawning it off to another committee, which is unlikely to meet more than once or twice before the end of session and does not have to calendar a vote. A bill for automatic voter registration, sponsored by Senator Michael Gianaris, a Democrat from Queens, was defeated after a vote was compelled in the same manner. While Cuomo, a second-term Democrat, unveiled a sweeping electoral reform agenda during his 2017 State of the State, by April, following the passage of the budget, he appeared to have lost any can-do, telling reporters, “There is more to do; there is no political will to do it. Otherwise we would have done it in the budget." While there is still time left in the legislative session, without Cuomo using his influence, movement on the issue in unlikely, according the Blair Horner, executive director of New York Public Interest Group, one of the advocacy organizations lobbying for electoral reform. “Lawmakers don't have to face voters until next year so they are more likely to do popular things on even number years than odd number years. The governor has not shown a lot of leadership on this, so they haven't felt a lot of pressure,” Horner said. De Blasio, no ally of Cuomo, told Gotham Gazette last week that he and unnamed partners intend “to launch a major effort” to see voting and election reforms passed in Albany by the end of the session. 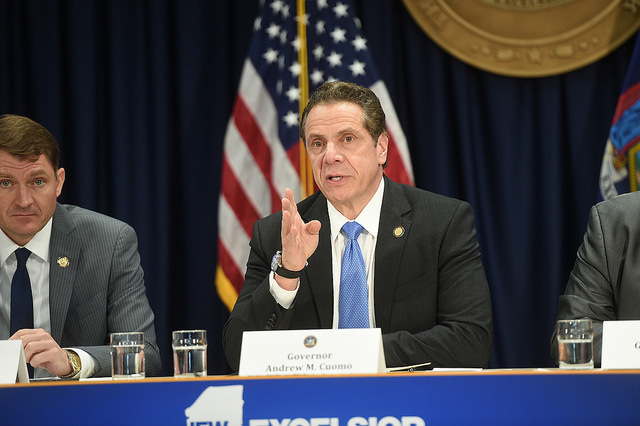 Cuomo’s office told Gotham Gazette that the governor continues to support modernizing the state’s electoral laws and will keep pushing for measures to do so despite their lack of movement through the Legislature. A spokesperson did not answer whether the governor would make any public push to see his desired electoral reforms passed. Two charter buses idling in downtown Manhattan in the early hours of the morning on a weekday would usually be full of mismatched tourists from far-flung states and countries, waiting to gape at the Wall Street bull and his recently-placed female antagonist. That was not the case for the buses that departed Church Street this past Tuesday morning, which, like their counterpart departing from the Bronx, were full of New Yorkers headed to Albany with a very specific mission: pushing legislators to adopt voting reforms that would make it easier for people to cast their ballots. The group of about 150 activists, students, and assorted concerned citizens from Manhattan, Queens, Brooklyn, the Bronx, and Syracuse had risen at an hour when most fellow city-dwellers were still sound asleep, steeled themselves with coffee and muffins, and traveled to the state capital as part of the “Vote Better NY” campaign. The effort -- now an annual lobbying day -- was organized by the New York City Campaign Finance Board’s “NYC Votes” initiative, which partnered with schools and civic organizations like Dominicanos USA, CUNY, and the recently founded high school progressive group Coalition Z.
Chloe Baker, 21, a junior studying history at Queens College and interning at the New York Public Interest Research Group (NYPIRG), felt that the trip’s intent was to “get the legislators thinking about [voting reform], and remind them that they work for us,” a sentiment echoed by many of her fellow volunteers. 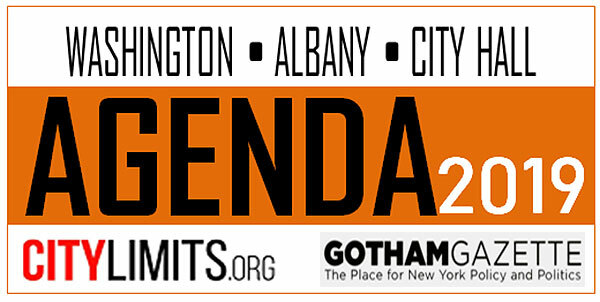 It’s the fourth year of the annual pilgrimage (Gotham Gazette was also along for the last two). To the chagrin of organizers, the objectives this year are the same as they were the first: to change the laws around voting so that citizens can more easily register and stay registered, and find it more feasible to actually vote once registered. Those goals are put forward in proposals included in four bills introduced to the Democratically-controlled State Assembly -- they would need passage there, then in the state Senate, and to be signed by Governor Andrew Cuomo. The New York Votes and Voter Empowerment Acts, sponsored by Democrats Michael Cusick of Staten Island and Brian Kavanagh of Manhattan, have some similar language; both would permit pre-registration of 16- and 17-year-olds and allow government agencies like housing authorities to automatically forward voter information for registration. New York Votes would additionally establish same-day registration with a constitutional amendment (it isn’t permitted under the current state constitution), open polls two weeks before elections for what is known as “early voting,” expand absentee voting, and boost polling place resources and training. Voter Empowerment would establish online voter registration through the Board of Elections and automatically update registration information. A separate early voting bill, also sponsored by Kavanagh, would, in its current version, establish an early-voting window beginning eight days before an election. Finally, the so-called preclearance bill, sponsored by Brooklyn Democrat Latrice Walker, would seek to replicate some of the controls previously contained in the Voting Rights Act before it was gutted by the Supreme Court. Counties where 10 percent of the population are racial or language minorities or which have been found to have denied voting rights to protected populations would need to submit any changes in voting-related practical or policy changes to the Attorney General’s office for approval. The early voting and voter empowerment bills both have versions in the Republican-controlled Senate. The former, sponsored by Democratic Conference Leader Andrea Stewart-Cousins, was passed through the election committee and has been sent over to the local government committee. The latter, sponsored by Queens Democrat Michael Gianaris, was voted down, 6-3, in the elections committee less than 24 hours before the activists boarded their buses, including a “nay” vote by one of its own sponsors, Queens Democrat and Independent Democratic Conference member Tony Avella. Yet what would seem like a deflating defeat was received with cautious optimism by activists, who are happy that the leadership in the Senate -- “where these bills go to die,” was how one NYC Votes staffer put it -- were even publicly acknowledging the ideas. “Having [Senate Majority Leader John] Flanagan even talking about wanting to know the cost of it is a change in the right direction. Last year it would have been a flat ‘no,’” said Onida Coward Mayers, the NYCCFB director of voter assistance, referring to the Suffolk County Republican’s recent comments citing the potential cost of early voting, while leaving the door open to continued conversations on reform. The day’s activities began with a rally held by legislators and advocates on the steps of the Capitol building’s famed “Million Dollar Staircase,” where it was moved after rain scuttled plans to hold it in Lafayette Park. After that, the group splintered into 11 teams, each with its own schedule of meetings; the idea was to try to have each legislator who had been open to a meeting hear from at least one of his or her own constituents. “They’re much more interested if it’s someone from their community, because they know that person represents many more at home,” explained Coward Mayers. The group Gotham Gazette trailed soon found itself in the imposingly bright and bustling Legislative Office Building, where hordes of staffers, lobbyists, and activists tried hard not to run into each other as they shuffled between meetings. First on the group’s schedule was Senator Roxanne Persaud, who had to run out but left an aide, who asked not to be identified, to speak with the six-person delegation. The Brooklyn legislator is one of a handful of Senate mainline Democrats who have not sponsored both of the Senate bills. No Republicans have signed on. A cramped elevator ride and brisk walk through halogen-lit hallways deposited the group at the office of Brooklyn Senator Jesse Hamilton, who greeted Coward Mayers with a hug and spent a few minutes posing for photographs with the activists. 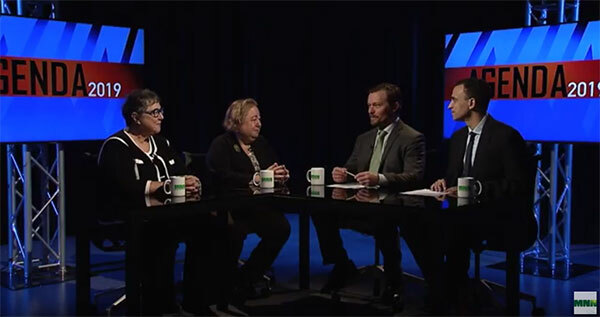 Hamilton and his seven colleagues in the IDC, a group that forms a governing coalition with Senate Republicans, are crucial to pushing through the bills that still have a chance in this legislative session, which runs through mid-June. Case in point, the group’s next scheduled meeting was with Republican Senator Marty Golden, of Brooklyn, who quickly got into a back-and-forth with Wang when she stated that people with oddly-spelled and hyphenated names often find themselves left off the voter rolls due to human error. “We have people with names, hyphenated or not hyphenated, voting in several elections” he said, and asserted that there were “people bused in from the Bronx and Westchester to vote in Brooklyn races.” Wang shot back that you were more likely to be “crushed by furniture” than to commit voter fraud, a claim that Golden vigorously disputed. While there have been sporadic claims of voter fraud in New York, Attorney General Eric Schneiderman declared earlier this year that there was not one substantiated incident of voter fraud in New York in 2016. As Melillo ticked off reasons why New York’s voter turnout is so low - 41st out of the 50 states in the 2016 general election, with 57 percent turnout - Golden asked if it couldn’t be that “people don’t care,” and argued that high immigrant populations and cultural differences led to low turnout in some districts, pointing to “Palestinian and Arab communities” in his own constituency. “Do they vote? No,” he said. Despite the disagreements, Golden conceded that improvements could be made to the state’s voting procedures, saying “there are a couple of things we can do to help people register and vote, and I’m open to that,” and agreeing to consider the bills. He threw out some of his own ideas, such as making poll workers’ pay non-taxable and getting the MTA to provide expanded service on election days. Asked about the probability that he would support any of the bills were they to come to a vote, he said “our leader is having conversations about the bill,” but declined to definitively take a position. Downstairs in the building’s cafeteria, past a group of Army personnel manning a series of small tables covered in military equipment as part of something called Fort Drum Day, the activists took a breather. “I didn’t really know what to expect…Say ‘I’m a constituent’ and maybe they’ll listen more, but there are a lot of groups here, so sometimes it feels like lip service,” said Natasha Padilla, 38, a Brooklynite who had taken a vacation day to go on the trip, as a group of people in bright green shirts emblazoned with the Airbnb logo chatted quietly 10 feet away. The final meeting of the day for the group Gotham Gazette followed took its members back through the packed elevators with the electronic voice and to the office of Brooklyn Assembly Member Peter Abbate Jr., who was not available. Aide Joe Brady took his place for a quick discussion that largely consisted of Brady agreeing that there were issues with voting and pledging to discuss the proposals with the Assembly member. The issue of voting reform is a particularly sensitive one for legislators, Coward Mayers said, because it “taps into their livelihoods. They want to be safeguarded.” If successful, the reforms would shift their voter base, empowering a whole slate of people previously not involved in politics. That prospect can be frightening to elected officials that can pretty much predict the comfortable margin they’ll be reelected with under the current system. Incumbents in New York, where there are no term limits for state legislators, do very well election after election, often running unopposed or with nominal opposition. In a telling exchange with Senator Hamilton, Wang, the PhD student, brought up Minnesota, a state with same-day registration and early voting that also happens to have had the highest percentage turnout in 2016 elections. As Hamilton began to speculate about the reasons Minnesotans may simply have a greater interest in voting, Padilla cut him off. “They got their people to vote. And it’s really cold there,” she said. Governor Andrew Cuomo all but confirmed Tuesday that major voting reforms he’s proposed would not be part of the new state budget, which is due by April 1. 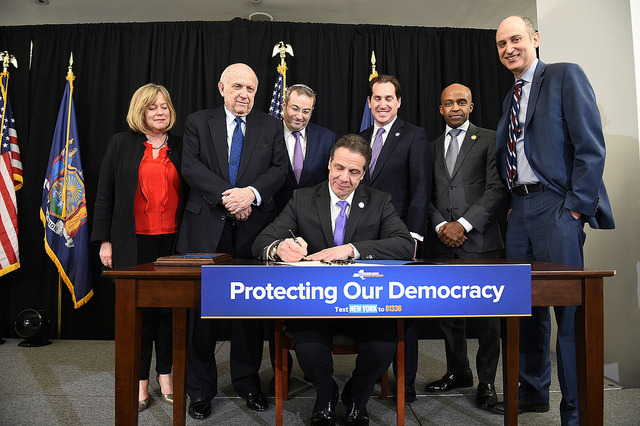 In January, Cuomo outlined the “Democracy Project” as part of his 2017 State of the State agenda, and included its widely prized measures like early voting, same-day voter registration, and an enhanced form of automatic voter registration in one of his budget bills. But, on Tuesday Cuomo indicated that the push to modernize New York’s antiquated voting laws would be left for the April through June legislative session that follows budget adoption. 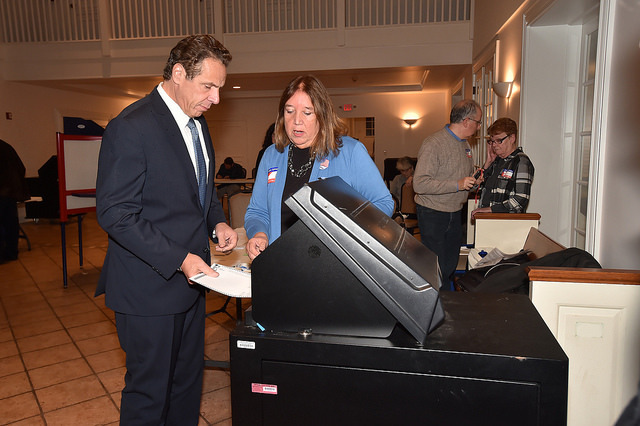 Cuomo, a second-term Democrat, has proposed sweeping voting reforms before, and New York has watched as they have been implemented with successful results in dozens of other states, while paltry voter turnout continues here. On Tuesday, Cuomo appeared at a press conference in New York City, which the governor had called to criticize two Republican congressional representatives from New York for authoring amendments to the federal health plan that would shift certain Medicaid burdens in New York from the counties to the state. During the question-and-answer session, a WNYC reporter asked Cuomo how he would be able to persuade Senate Republicans to adopt his voting reform agenda during budget negotiations. “We are going to try like heck,” he said, but added, “It’s not necessarily a budget discussion,” conceding a point Cuomo is typically hesitant to make. Between now and April 1, Cuomo and legislative leaders will negotiate the details of the new state budget. The Governor sets the stage for budget season with his Executive Budget in January, which is then followed by legislative hearings, one-house budget resolutions that respond to the Governor’s proposals, and closed-door negotiations. The spending and policy pieces that make it into the budget often depend upon how much priority agenda items are given by the Governor, the Senate Majority, and the Assembly Majority. Cuomo, as the most powerful of the “three men in the room,” can often push through his top priorities, as he did last year with $15 minimum wage and paid family leave programs. While Democrats who control the Assembly appear open to the three voting reforms, among others, they do not appear to be placing it especially high on their list of priorities. Republicans who control the state Senate are opposed to voting reform, worrying that greater turnout could spell the end of their paper-thin majority margin. Two of the three reforms, early voting and automatic registration, are widely implemented throughout the country, and would be easy to implement legislatively, but have stalled in the Senate. Along with the Assembly majority, the Independent Democratic Conference, a breakaway group of Senate Democrats who have a ruling coalition with Republicans, also support the measures. However, the IDC’s power to move the GOP conference in this case may be especially limited. Same-day voter registration, which would allow unregistered voters to register and vote on Election Day, would likely have to be implemented through a state constitutional amendment, which requires the approval of both legislative houses for two consecutive legislative cycles and then approval by the public through a ballot vote. 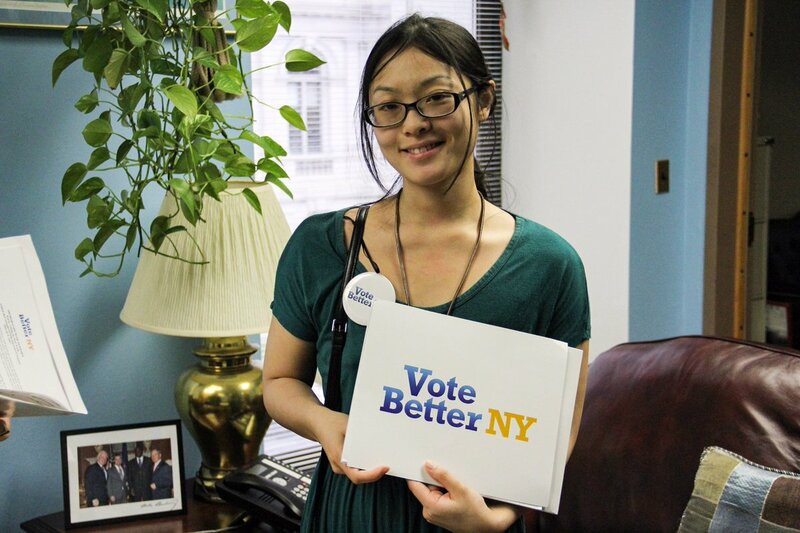 Last week, representatives from advocacy groups like the New York Civil Liberties Union, the Working Families Party, and Common Cause NY joined with female state lawmakers at the state Capitol to push for early voting and automatic registration to be included in the budget. The press conference, which coincided with Women’s History Month and framed voter inclusion as a women’s issue, was followed by a rally on Sunday in New York City’s Battery Park. Susan Lerner, executive director of Common Cause NY, who helped organized the press conference and the rally, criticized the governor’s Tuesday revelation. “It's not enough to ‘try like heck,’” Lerner said in a statement. “New Yorkers deserve the same rights as voters in Alaska and Vermont. We need voting reform now, and that means including funding in the 2017 budget to ensure that the next election cycle is an example for the nation, not a national embarrassment." Lerner noted that New York ranked 41st in the nation for voter turnout (based on the 2016 presidential election), with less than a third of eligible voters participating. “Far from the progressive symbol the Governor likes to tout, we are out of step with 34 other states that have some form of early voting, and nowhere near California which also has Automatic Voter Registration,” Lerner said. On Tuesday Cuomo did not cast blame on anyone for what he was foreshadowing as a failure to move voting reform through the budget. At the press conference, however, he did tout how well he has been able to work with Republicans over the past six years. He did not indicate that he planned to try to convince Senate Republicans to back his voting reform agenda. A few days ago, Scott Reif, a spokesperson for Senate Republicans, told WNYC radio, "There are many bills out there which seek to boost voter participation. We'll take a look at all of them."